Please leave feedback to be entered into a draw to win £500 lifestyle vouchers. Terms and conditions apply. Parts of the motor trade have a poor reputation – some justified, but media coverage of 'rip-off garages' and a general lack of trust between garages and customers helps to perpetuate problems. The 'Motor Industry Code of Practice' – developed by the industry itself – was launched in 2008 to improve the general image of the trade by encouraging garages to raise their standards and rebuild customer confidence. The initial code followed a damning report by the National Consumer Council claiming that: 'shoddy repair work was costing the consumer £4billion a year' and calling for the industry to obtain full Office of Fair Trading (OFT) approval or be subject to legislation. The Society of Motor Manufacturers and Traders (SMMT) worked with the Retail Motor Industry Federation, Office of Fair Trading, vehicle manufacturers and some car dealer groups to develop and set up the code of practice. 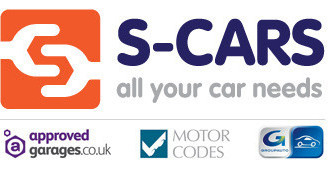 The code is now run by Motor Codes Limited, a subsidiary of the SMMT and achieved full OFT approval in November 2011. This new scheme is designed to help you identify garages which will deal with your car properly and provide a good service. It covers all aspects of garage work from advertising, booking in work, undertaking repairs, staff, invoicing and resolving complaints.